The circumstances of Jon Jones’ dealings with the United States Anti-Doping Agency are extremely mysterious. It’s been well over a year since the former light heavyweight champion’s failed drug test, which came to light after his July, 2017 fight with Daniel Cormier, yet we still have no answers with respect to his punishment. 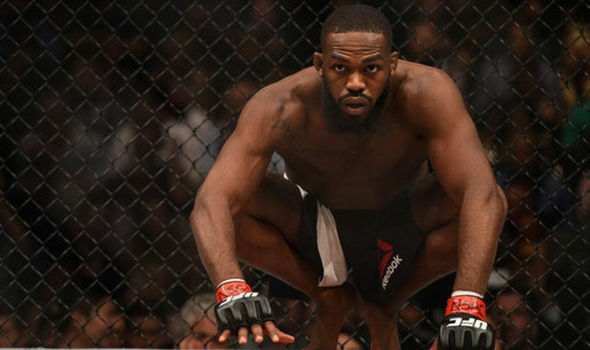 This has led some members of the MMA community to speculate that there could be some kind of seediness going on with Jon Jones’ case — perhaps even a financial payoff to accelerate his return to the cage. USADA wants you to know that this is not the case. Interestingly, Jon Jones manager Malki Kawa has also been suggesting for some time that a USADA decision is probably due quite soon. Back in July, he said he expected clarity with respect to Jones’ case before the end of that month. Do any of you think that something funny is going on between Jon Jones & USADA, after only being tested once this year? No big deal. He was just switched to retired in their system temporarily so that he could cycle off. maybe they just gave up. the guy did hide under the ring at Jacksons for 8 hours to avoid getting tested. Got paid to say that. Seems odd they were careful to word the statement precisely to mention "as part of the resolution process".Instead the obvious statement SHOULD have said,we NEVER receive payments. Need we say anymore than Brock Lesnar to know that USADA is corrupt and is being paid off to keep quiet when needed. Remeber the 3 month warning that Dana was completely adamant about that GSP be tested 3 months out and up to his fight but gave a complete exemption to Brock Lesnar.We all know Brock was doping,so then where was USADA? On the other question of every fighter tested,NOPE they are not all tested,i am not even sure it is 50% and even when they are tested,not all are given the full urine and blood test.Then i heard remarks that EPO is one not tested for. Then in the case of no IV's for rehydration,there is the remark during that Manny/Mayweather fight where it was not allowed yet somehow Mayweather got an exemption. The big picture is that USADA is not 100% on the up n up. I forgot to mention that the "resolution process"mentioned means they could very well be paid off to keep results quiet until AFTER the fights so as to not ruin the cards,or have canceled fights. We know for certain the UFC is corrupt so why would we not expect the USADA to follow the UFC's lead.